For the past four months we have been living at home through our building project. 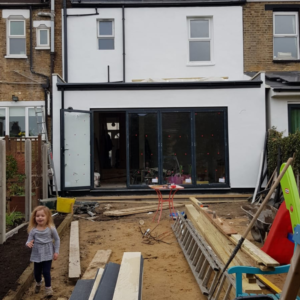 A build that started off just being a kitchen extension, which then quickly swept through the entire house avoiding only the bedrooms and the bathroom in our existing loft conversion. 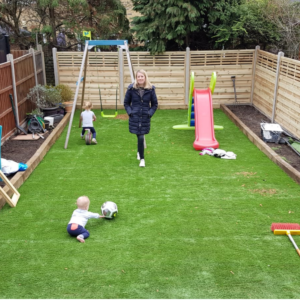 The work in total has comprised of completely renovating the back of the house and extending to create a huge open plan kitchen extension, renovating our living room, ripping out and replacing the bathroom, painting and decorating the hallways and landings, and completely overhauling the garden. We lived through it the entire time. Most of the time I was actually ok about it, and I’ve never felt awkward about our builders being in the house. 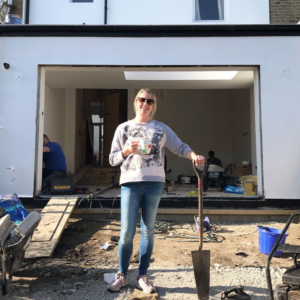 If I’m honest part of me is actually dreading the work finishing….the house will be quiet, and what on earth am I going to talk and think about. But at least I will have my house back and be able to enjoy it. It’s been a long time since we were dust free and I’ve become accustomed to a thin layer of dust covering absolutely everything. 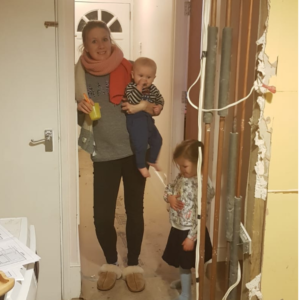 So I’m sure that many of you are wondering how on earth do you live through a build with two small kids, one of whom was only six months old when the work started. 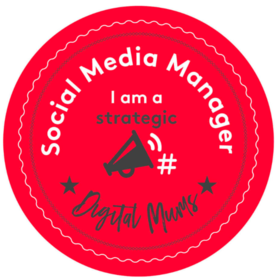 Here’s how….. This is your NUMBER ONE priority. 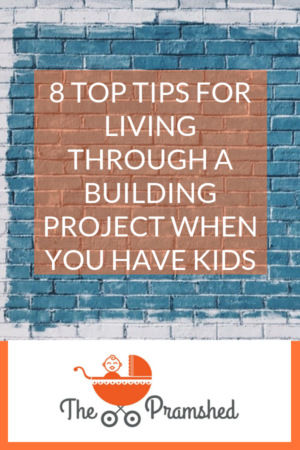 Make sure that the builder you choose respects the fact that you will be living in your home during your building project, and obviously make sure that they know you have kids too. 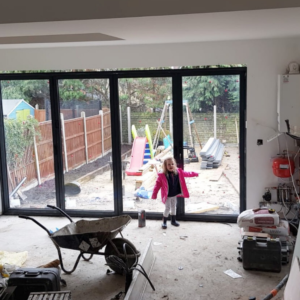 It also massively helps if your builder has children as well, so they also know what it’s like. 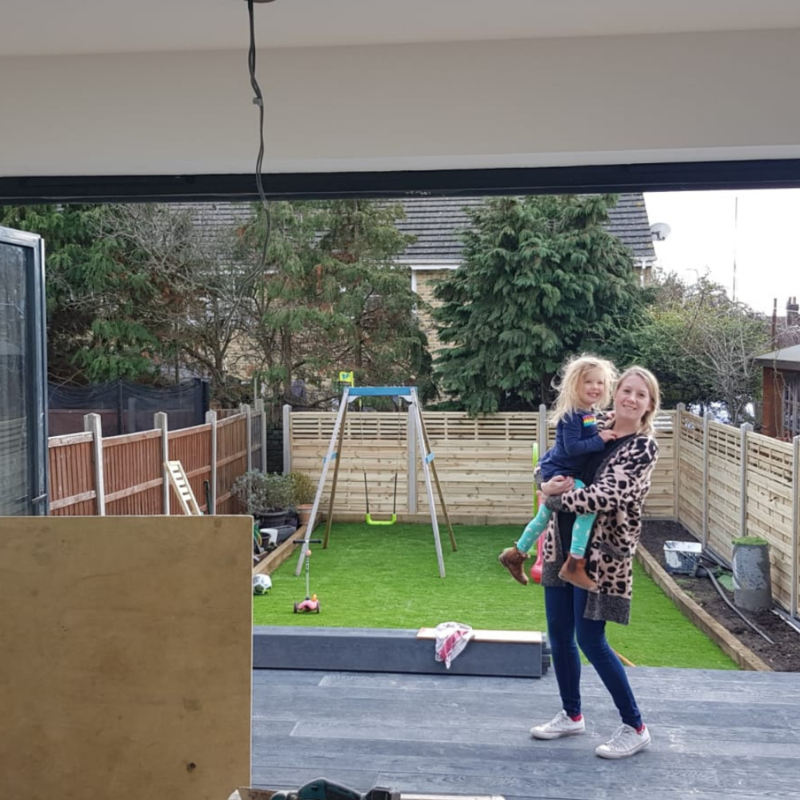 We made it clear from the outset that we would continue to live at home during our build, and our builder has accommodated the works around that and us. Although this will very much depend on what you’re doing. If you’re doing absolutely everything it may not be possible to live through it, but it is always worth discussing. Which leads me onto choosing a builder who you trust, and ultimately one that you have a good gut feel about. If you have any niggles or worries during initial meetings, they may not be the right people for the job. Building projects can take a long time, and you will have a team of people in your house EVERY SINGLE DAY. You need to be able to trust these people and not feel at all awkward, otherwise life could become pretty miserable. Over the past 13 weeks I’ve not felt at all awkward or uncomfortable about having our builders in the house. What I mean by this is having a room in your house that is not impacted by any of the building works going on. In our case this is my son and daughter’s bedroom. Nothing has changed in these rooms apart from the dust levels. 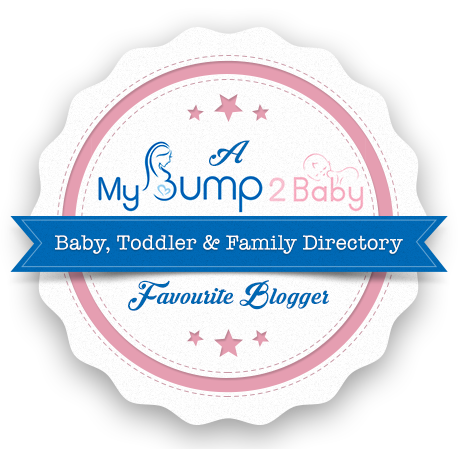 They offer an escape from the chaos, and even though are messy and untidy, they are the one area of the house where I feel like I can get a bit of breathing space. Because even our bedroom and spare room is piled high with items from the living room and the kitchen. Depending on what works you are doing you may need to have a temporary kitchen set up. In our case this was an absolute necessity as our old kitchen was pretty much ripped out on day one. Items from our kitchen including the fridge, dishwasher, washing machine and some cupboards were moved into our living room. It was a bit like living in a studio flat, but it was a lifesaver, as we couldn’t have done without it. If you can get your washing machine and dishwasher relocated, as living without these will be hard and very time-consuming. At the beginning of our building project we still had our cleaner coming every two weeks, and I was actually on top of the dust. But as time went on and the battle against the dust got the better of me, and the work took over more of the house I temporary ditched our cleaner as it seemed pointless and I gave up the daily dust down. So lower those expectations, you will get used to seeing dirt, dust and mud throughout your home. But remember it’s only temporary and one day you will have your sparkly house back. This goes without saying. There will be times when you just need to be out of the house. You may have days when there is no heating or hot water, or when you are actually told to not be in the house. It will also really help your well-being if you can have a break from the house and the build. Living through it will mean that you are constantly involved, that you see everything, that you make changes, and it may become all that you think about. I know that escaping for a long weekend every now and again has helped my sanity. 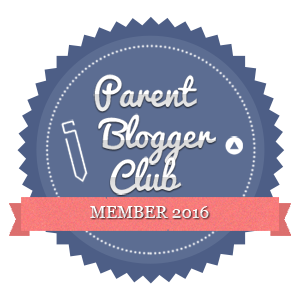 If you already have childcare in place this will make your life a lot easier, as it is really difficult being at home with children particularly those of the toddler/preschool age. 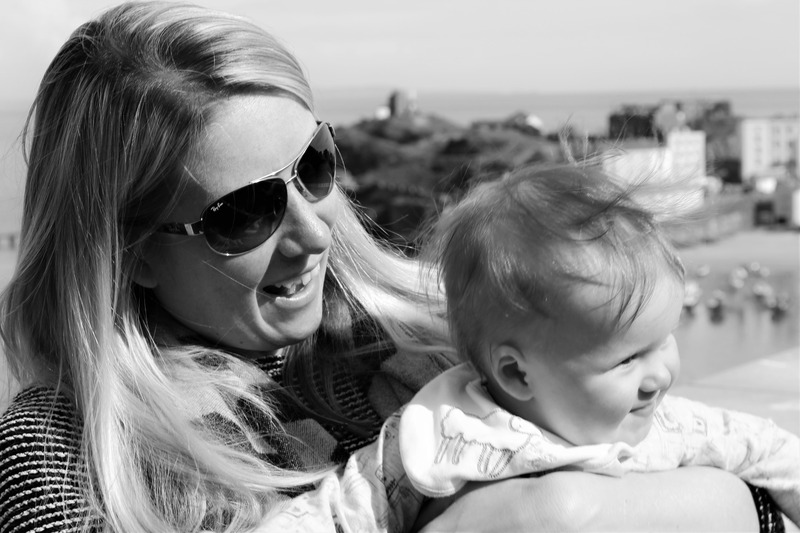 We have our daughter in nursery for three full days a week, and those days are so much easier at home. 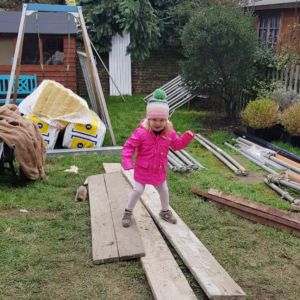 It’s easier to have the more detailed and important conversations you need to have with your builders, rather than trying to cram everything into a passing chat whilst a toddler hangs off your leg demanding that she needs a wee! There will be days when you are questioning your sanity and own mind about why you’re doing it, and why the hell you’re still living at home. Often these will be the days when something big is happening, or your children are driving you bonkers, or it’s chucking it down with rain so it’s not easy to leave the house, or when something hasn’t quite gone to plan. 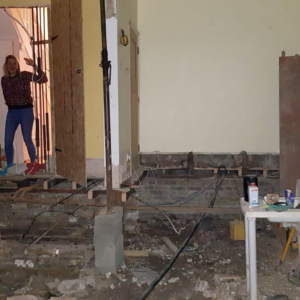 These will probably all happen, but remember it won’t last forever and a couple of months down the line you’ll forget why you were so worried about the positioning of light switches and your kitchen island. So those are my top tips for living through a build. We are very nearly out the other side of our project, and I can’t wait to have our house back and actually start living properly again. One of the most important points to remember is that it is short-term pain for long-term gain. It is only temporarily, it will end and you will be so pleased with the results, your home and yourself for living through it! Then you can give yourself a celebratory high five and consume all the fizz (if you haven’t drunk it all during the build). Big thanks to mprm design and build for putting up with us living at home throughout and all the hard work so far. This is a very relevant article. Thank you so much for sharing.